The 2017 Dining Awards gala is only a few weeks away and for the first time ever, the event will be open to the public. Salt Lake magazine is offering a limited number of tickets to the most exclusive food event of the year. Attendees will sip champagne and rub elbows with Utah's most accomplished chefs, restaurateurs, food makers and foodies. The guests will be among the first to hear this year's winners while enjoying one of the best cocktail parties in Utah. ● A cutting-edge menu including braised beef short ribs, cured salmon, elegant sweets and lots of vegetarian options, to name of few of the delicious items, catered by Cuisine Unlimited. ● A bountiful artisanal charcuterie and cheese table from local food stars Creminelli Fine Meats and Beehive Cheese. ● Conundrum champagne from Libation and select wines from Vinelore's boutique wineries. ● Award-winning craft beers from Squatters and Wasatch Breweries. ● Signature cocktails from local distillers Sugar House Distillery and Beehive Gin. ● Tastings from three Idaho wineries—winemakers and owners will be present to pour and discuss their own wines. ● Cappuccino and latte from Park City's own Hugo Coffee Roaster to complement a large assortment of sweets and treats. ● An exclusive swag bag including a recipe book with recipes from all winning restaurants. ● A free subscription to Salt Lake magazine. 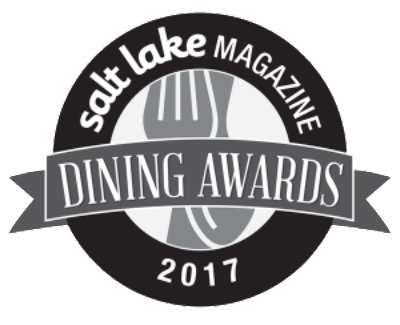 Dining Editor Mary Brown Malouf is available to discuss Utah's dining scene and we can arrange for past winners to perform a cooking demonstration of signature dishes. Mary can be reached at [email protected] or 801-485-5100.